I started back at uni this week after having time off over summer. On my walk to the train station I stopped into the Little Library at Melbourne Central to have a browse, I’ve donated many books there throughout our BNN journey and love the old timely bookstore feel it has. 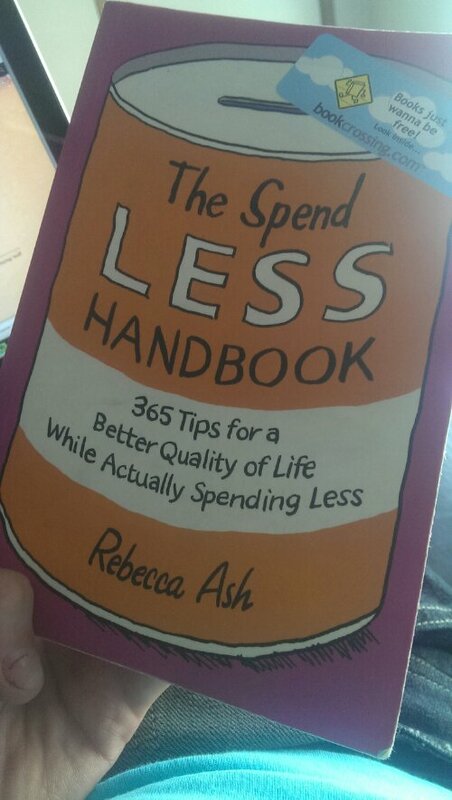 So I went in and had a quick scan of the books there and I saw the spine of one book that read ‘The Spend Less Handbook, 365 Tips for a Better Quality of Life While Actually Spending Less‘, Perfect, right up my alley I thought. When I got on the train I fished the book out of my bag and noticed a sticker on the front which initially I thought must be some award the book has won. 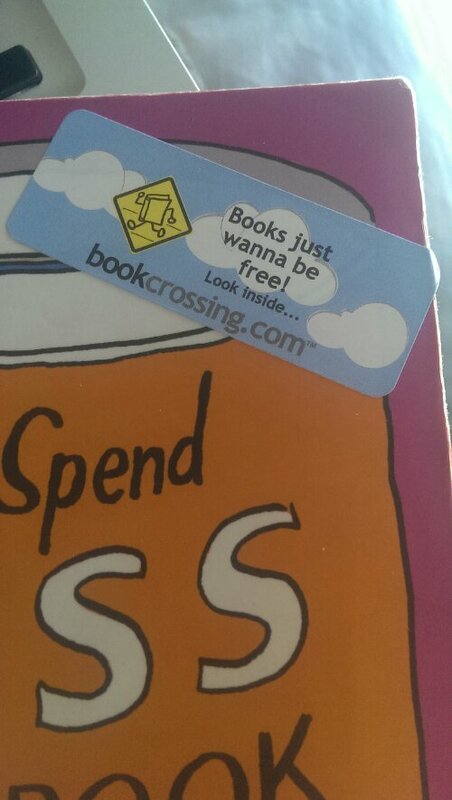 I soon realised the sticker said ‘Books just wanna be free!’ – this grabbed my attention. A little while ago we had a comment from ‘CC’ Richards who’s blog is Daytripper Sippers. He bought our attention to the idea of ‘traveling books’ which I have heard a bit before but he jogged my memory on the theory behind them. 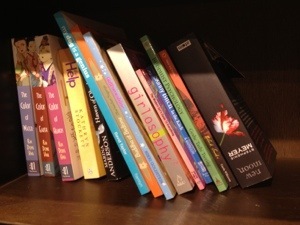 Travelling books work on a ‘read and release’ theory, this means you leave a book which you have read or are willing to let go of ‘in the wild’ (such as on a park bench, on the train or the Little Library) so that then someone else can pick it up and enjoy it themselves. Travelling books have been around for ages, but the exciting part is that they have now gone digital – this means you can keep track of your books travels online instead of just hoping it’s gone to someone nice and never knowing. You see normally you would leave your name and location inside the front cover of the book, but now with the help of bookcrossing.com each book is assigned a registration number and can be logged online so all past and present holders of the book can see the journeys it makes. 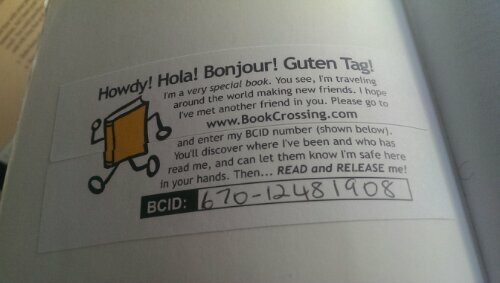 Anyway… The book I picked up is a bookcrossing book! I had the biggest smile on my face when I noticed this, it’s like I felt special, as if the book chose me – weird I know! So far the book has been a little gem with quite a few nifty tricks of the trade. It had a little story at the end of chapter one which I really enjoyed, it seemed to connect with me and our BNN journey really well. A rich businessman while on holiday in a foreign land approaches a local fisherman who is relaxing next to his boat watching the waves gently rustle up the shore. “Why aren’t you working?” he asks the man. “Because I have already caught enough fish for the day,” the fisherman replies. “And why would I want to do that?” said the fisherman, barely looking up from under the brim of his straw hat. What a great story, it resides so perfectly with some of the things we’ve learnt so far with BNN. Be grateful for what you have, live for now – don’t waste your time thinking ‘if I just had that I would be so much happier’ because if you really think about it, you probably wont. Experiences are what really stick with you, memories of laughter, smells and sights – not stuff. I am so glad I’ve come across this book, it made my day. I look forward to reading more of it and then releasing it so it can go on and live another day.